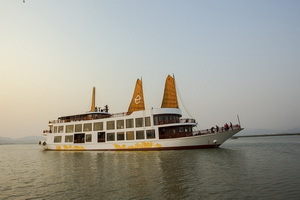 Bai Tho Tourist Transportation Company is one of the pioneers operating Tourist’s transport on Ha Long Bay. 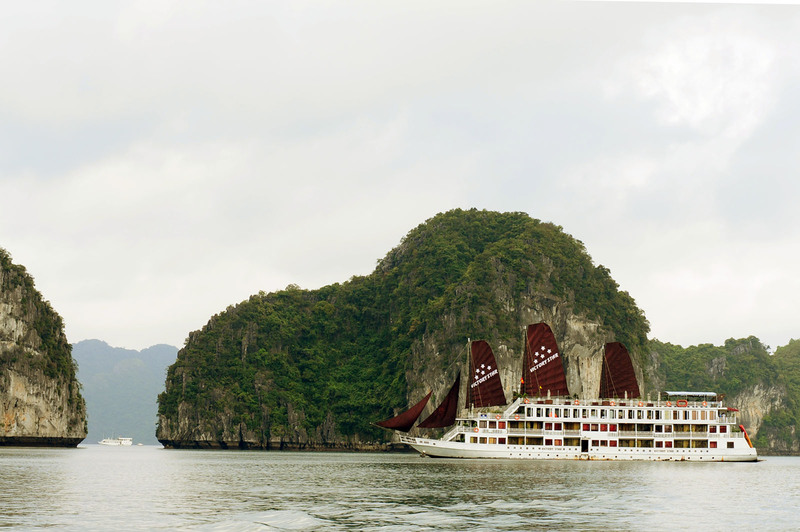 It started in 1991 with a few wooden-limited capacity boats for very simple daily tours to visit Ha Long Bay. 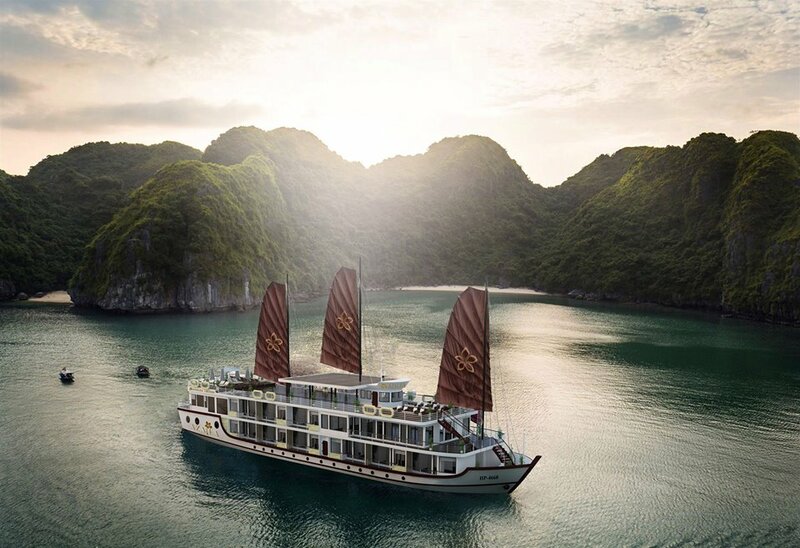 After 21 years, Bai Tho has become the first company to provide both day and night cruises adding the option of any special events for visitors to Ha Long. We run presently 3 trademarks as: Bai Tho Cruises and 2 high-end class trademarks as Victory Cruises & Victory Star Cruises with 37 units, including 20 day cruises and the rest are overnight cruises. 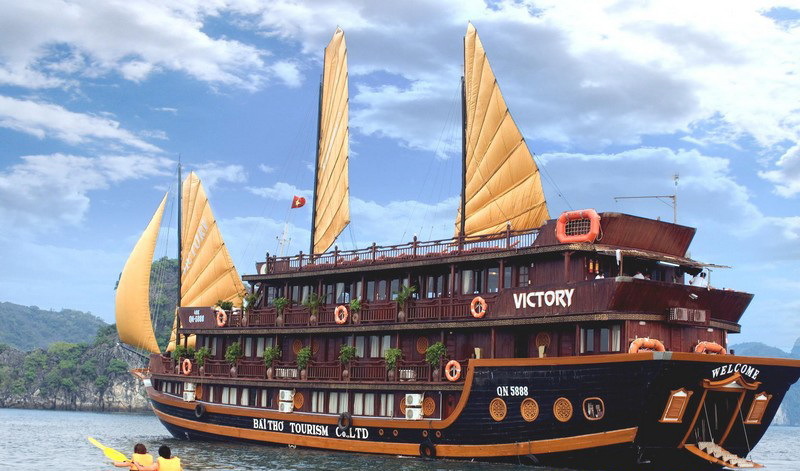 All cruises are designed not only in classic and traditional boat type on Ha Long but also in safe, modern and comfortable specificities. 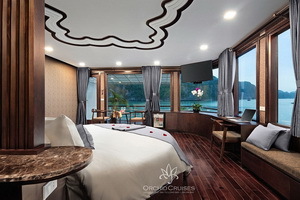 With over 188 cabins to stay overnight on Ha Long Bay (the smallest junks have 2 cabins when the biggest has 32) We propose overnight cruises for all visitors coming in Ha Long for any purposes as vacation, relaxation, honeymoon, wedding party, meeting, conferences. In case of Charter cruise, we shall organize for you dinner parties in a cave or on a beach. Having office in Hanoi and Ho Chi Min City, we can give any information relating to our services with best consultant team to prepare your trip. 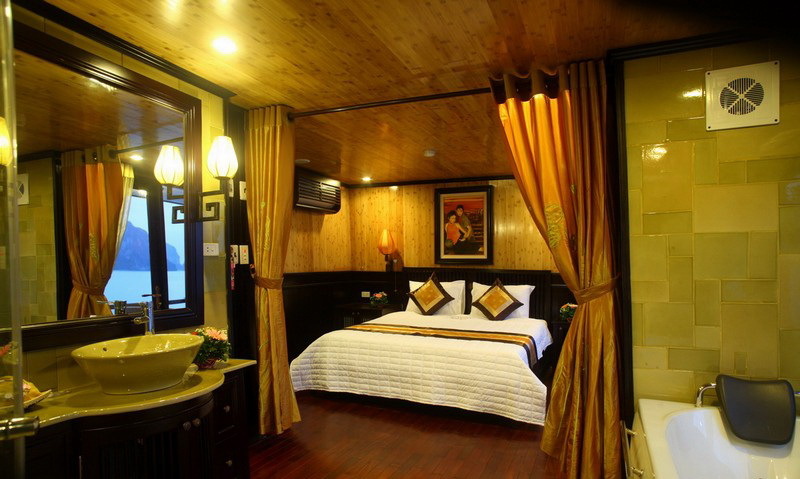 We run our own daily shuttle bus for transfers to/from Hanoi / Ha Long. 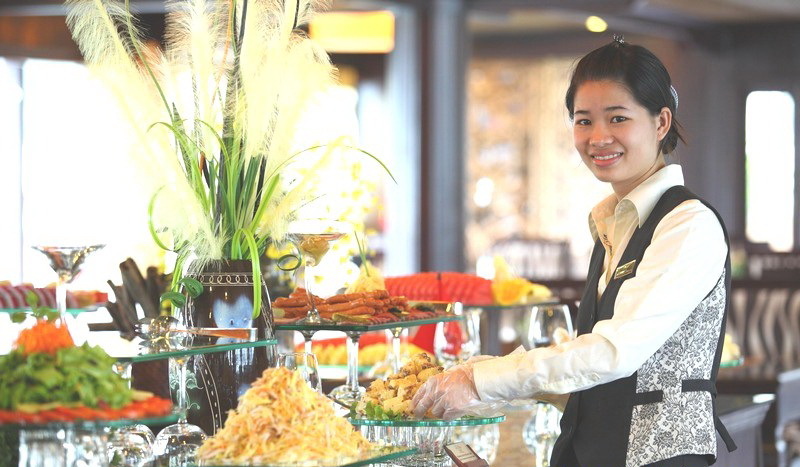 We only hire well-trained and professional staffs, a high-end service for all the luxury cruises. 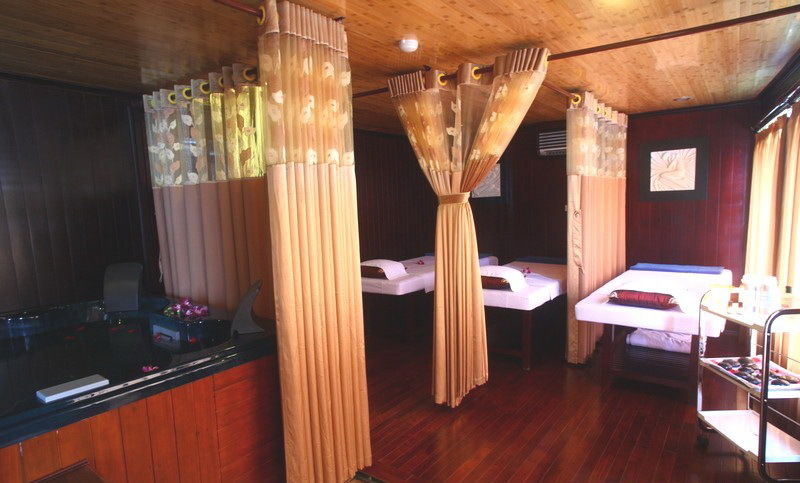 You will enjoy the hospitality of our friendly and warm staffs having very high competences. 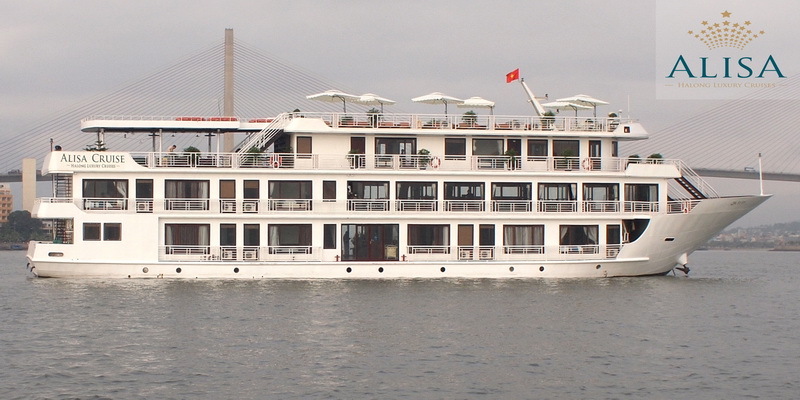 Now we are the first quality cruises’ provider on Ha Long Bay. Thanks to this, we affirm our development in the numbers of visitors joining our market share. 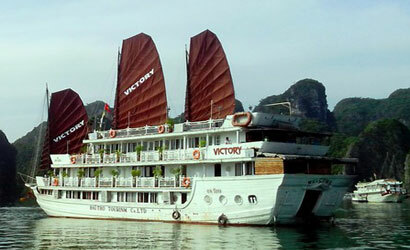 Inspired from traditional junk manufacturing, Victory Cruise is the symbol of Halong Bay’s legendary beauty. 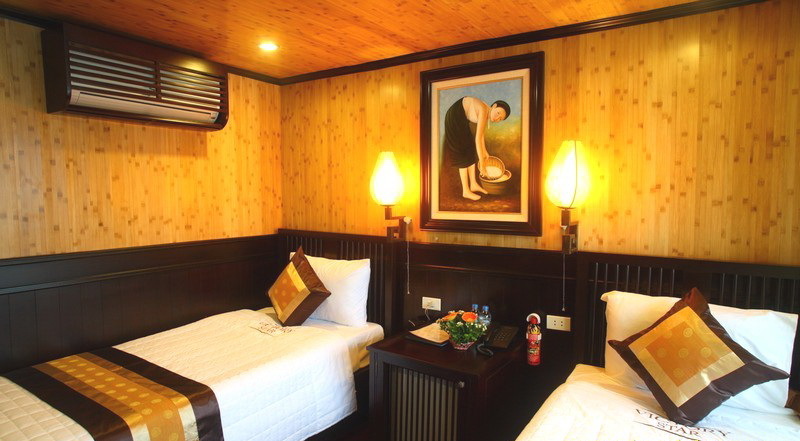 Tropical precious wood, fine arts decorations and a devoted staff will lead you to an amazing journey discovering Ha Long Bay. Designed by a Junk Carpenter, Victory Cruise is made of Tropical wood, equipped with modern facilities and valorized by a high fine art decoration. 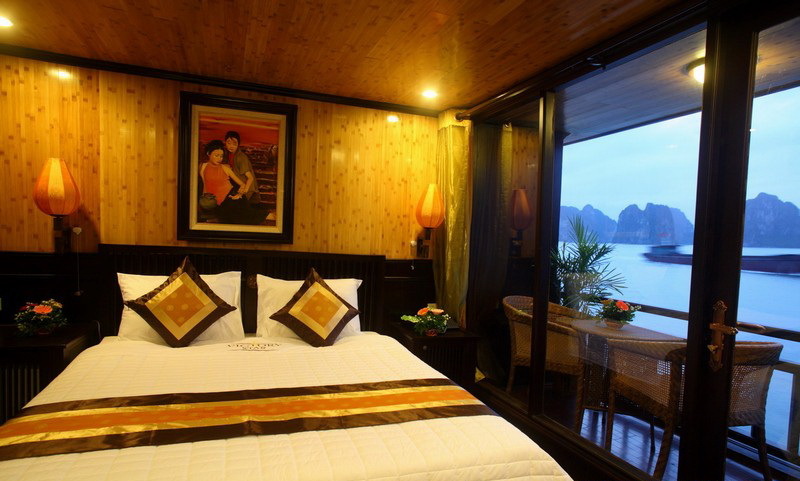 Offering 21 cabins, Victory Cruise is THE ideal support for you to relax and enjoy natural beauty of Ha Long Bay. You will enjoy traditional Vietnamese cuisine or international food served by friendly and warm staff. After diner, you can enjoy karaoke, and order cocktails or any drink at the bar. When the sun goes down, you can see thousands of stars sparkling in the sky and overlook dimmed romantic lights on the bay. It is so fantastic to choose some special cocktails and experience unforgettable moments! 15.00 Transfer from Victory Cruise to rowing boat to visit Vung Vieng fishing village – Visit the Floating village and the pearl farm. Rowers are local girls wearing traditional costume. 07.00 Light breakfast: cakes, coffee, tea…. * Cruise itinerary and schedule are subject to change due to weather, tide levels and operating conditions. Swimming or kayaking excursions may be cancelled due to poor weather. Unused services are not subject to a refund. * Give all personal information 7 days before departure (full name, date of birth, nationality, passport number, visa expiry date for all passengers). * Surcharge 20% of room charge for 24 and 31 December of calendar and Lunar new year period. * Credit card payment accepted on board for Visa and Master. Arrival at Hon Gai International Harbour. 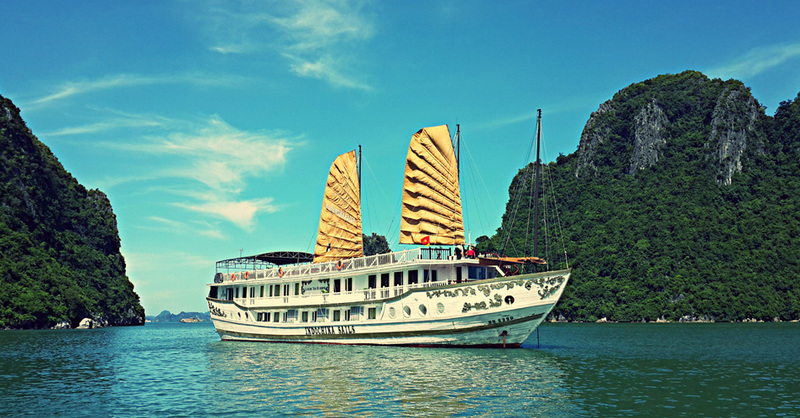 Enjoy Lunch while cruising to magnificent Bai Tu Long Bay, admire the fascinating formations on the way. Explore the well- hidden Thien Canh Son cave. Enjoy relaxing on a white sandy beach at Hon Co Island. Return to boat - Continue cruising through the bay. Anchor for overnight at Cong Do area. Savor a delicious Set Dinner in dinning room. 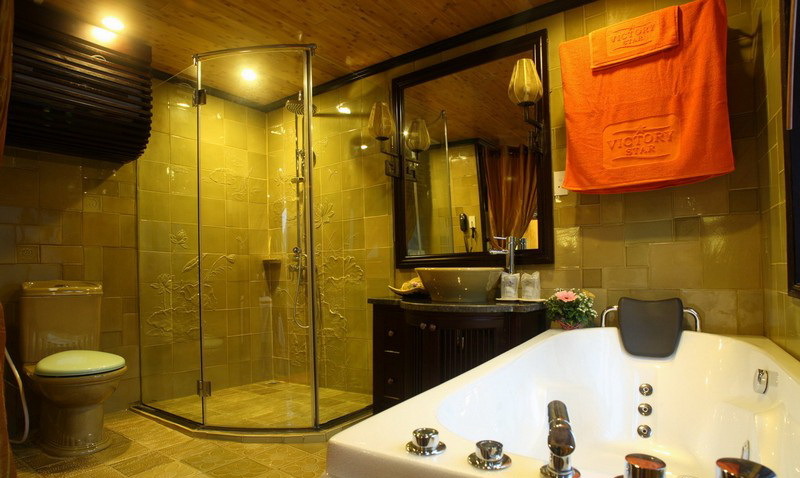 Activities: Relax on deck, Beauty Spa services, drink service available or night time fishing. Relax, enjoy fresh air & overnight on board. Enjoy Sunrise over the Bay or take part in our morning Tai Chi session. Coffee, tea and breakfast pastries served in dining room. Full Breakfast will be served in dining room. Pack lightly; swimwear and a set of clothes. Towels will be provided. As there are different activities during the day please bring both shoes and flip-flops. Transfer by tender to the “Day Boat” . 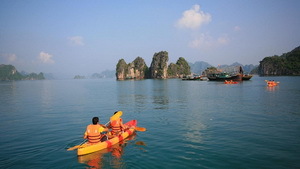 Begin to cruise to some of Bai Tu Long Bay’s more Untouched Locales. Exact locations depend on tide conditions. Enjoy a leisurely day of Sightseeing, Kayaking and Swimming. A multi- course Lunch will be served mid-day. Savor a delicious Set Dinner in dining room. Transfer from boat to rowing boat to visit Vung Vieng Fishing Village. Rowers are local people wearing traditional costume. It’s the opportunity to see the fisher’s daily life with the primary features in the charming nature. Having international Buffet Brunch served in dining room. Arrival at the pier. Farewell. Depart daily at 7.30 AM at Thien Bao Office Building, 47A Le Van Huu St, Hai Ba Trung District, Ha Noi. Meals on board are fusion. Vietnamese, seafood and international. Guest should advise of any special food reference, allergies or dietary repuirement at least 1 week prior to the cruise date. Give all personal information 7 days before departure (full name, date of birth, nationality, passport number, visa expiry date for all passengers). A valid passport is required upon check in. Otherwise, boarding may be denied by port authority. Credit card payment accepted on board for Visa and Master.